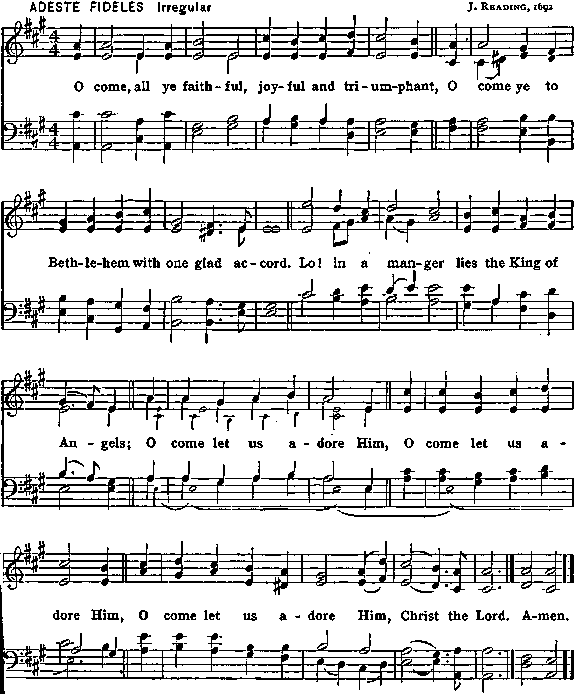 Sing, all ye that hear in heaven God's holy word. Give to our Father glory in the highest; 0 come let us adore Him, Christ the Lord. O Jesus! for ever more be Thy name adored. Word of the Father, now in flesh appearing, O come let us adore Him, Christ the Lord.